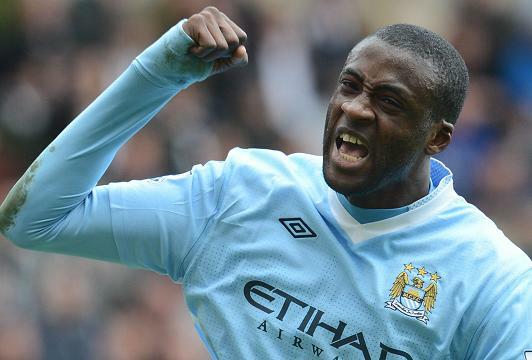 Manchester City’s talisman midfielder Yaya Toure has bagged the prestigious award of African Footballer of the Year. The 30-year-old won this award for the third year running, after edging out Nigerian team-mate John Obi Mikel and Chelsea legend Didier Drogba. “I am very proud and very happy to receive this award, but would also like to congratulate my brothers, John Obi Mikel and Didier Drogba,” said Toure as quoted by Sky Sports. Toure has been in sensational form this season. Not only he has been a colossal figure at the centre of midfield, but his goal scoring form this season has been of great help for Manchester City. The Ivory Coast international has scored 10 goals thus far and has bagged three assists so far. He was included on the 23-man shortlist for FIFA’s World Player of the Year and joins Abedi Pele and Samuel Eto’o in winning the honour on three occasions.